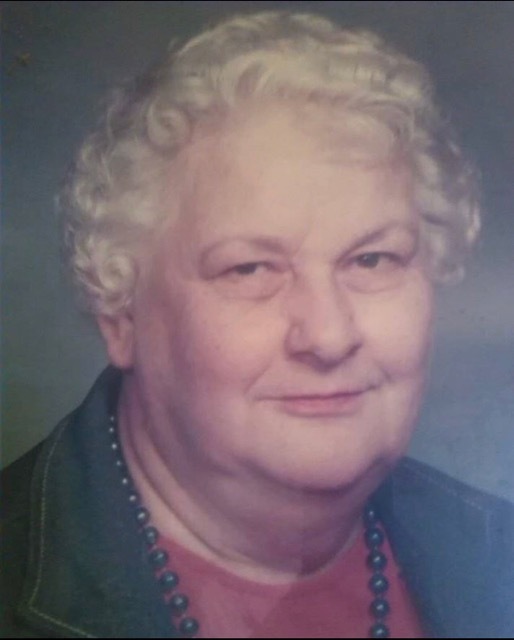 Virginia M. Finch, 89, of Walbridge, Ohio passed away on Monday, April 8, 2019 at Genesis Healthcare Perrysburg Center. She was born to Frank and Kathryn Wunderlin on August 16,1929. Virginia graduated from Maumee High School in 1947. She married James P. Finch on April 16,1947. Virginia was a Girl Scout Leader for 20 years and Secretary and Treasurer for Monday Early Birds Bowling League for 35 Years. She loved to travel and had visited 43 states. Virginia was preceded in death by her husband, James P. Finch; sisters, Kathryn Jean Marriot and Frances Marie Bowman and her brother, Donald F. Wunderlin. She is survived by her daughters, Patricia J. TenEyck and Paula M. Rawlings; son, Richard J. (Cindy) Finch, nine grandchildren, 17 great-grandchildren and 4 great-great-grandchildren. Family and friends may visit the Freck Funeral Chapel, 1155 S. Wynn Rd in Oregon on Friday, April 12, 2019, from 2-8 p.m. Funeral services will be held at 10 a.m. on Saturday at the funeral home. Burial will follow at Lake Twp. Cemetery. Memorial contributions can be made to American Heart Association.